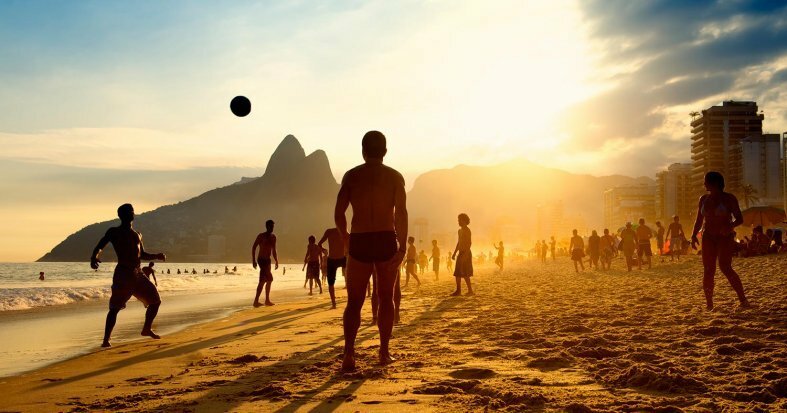 Discover the delights of tropical Brazil! Be enthralled by the soaring skyscrapers of diverse Sao Paulo. Witness the awe-inspiring Iguazu Falls from the Devil's Throat. 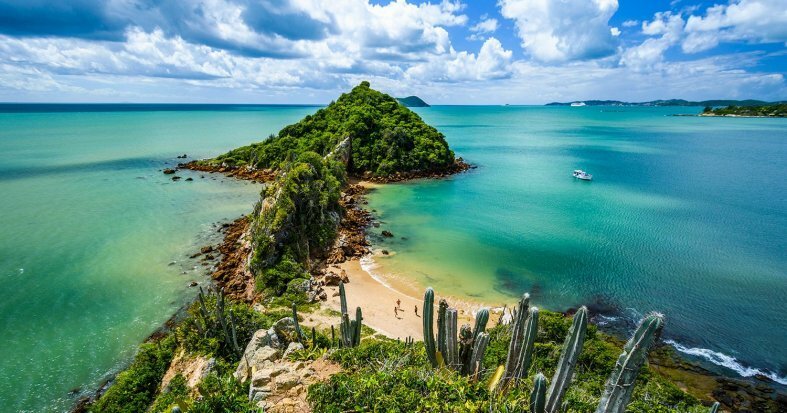 In Rio de Janeiro, discover the iconic Christ the Redeemer before relaxing in the upscale beach resort of charming Buzios where you can explore the many idyllic islands that dot the shoreline. *If your flight arrives in Sao Paulo in the early hours of the morning, and you wish to have your room available before 2PM, you can request early check-in in the next step of the booking process. *If your return flight departs in the morning, it is possible that your arrival in the U.S. will be the same day and the total duration of your trip will be 14 days. **Details of your internal flights will be detailed in your travel documentation, in your Customer Area, 72h before your departure date. ***Possibility of booking optional excursions in the next step of the booking. Please note that all additional optional excursions which are not selected at time of booking must be requested before final payment is made at least 60 days before departure. The final price will be shown once you have selected the optional excursions, in the final step of the reservation process. Visit http://www.vfsglobal.com/brazil-evisa/ to process the Brazilian visa. IMPORTANT: Send a copy of the valid passport in order to process the reservation. IMPORTANT: Check with your doctors' recommendation for vaccines to travel to Brazil. Visa (required), drinks, tips and any other services not mentioned in what's included. Arrival at U.S. departure airport ready for a flight to Sao Paulo. Overnight flight. 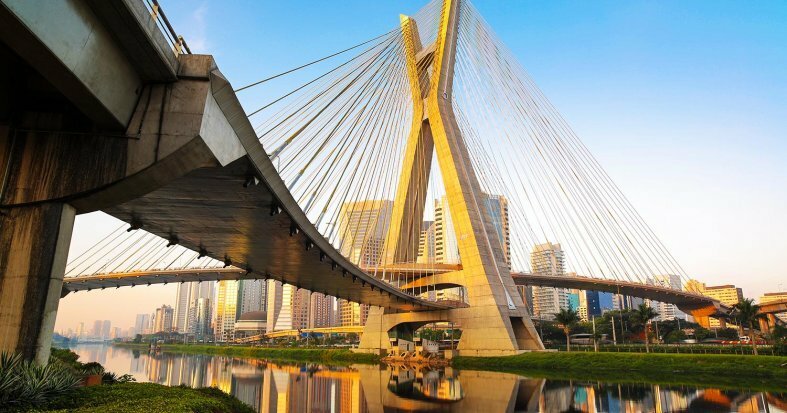 Arrive in Sao Paulo, transfer to the hotel and spend the rest of the day exploring this vibrant financial centre which boasts modern architecture and a cosmopolitan atmosphere. Overnight stay in Sao Paulo. Breakfast at the hotel. Today, spend your time exploring the city at your own pace, or alternatively, we suggest taking our optional city tour for a comprehensive overview of all the Sao Paulo has to offer. * Overnight stay in Sao Paulo. Breakfast at the hotel. Transfer to the airport for a flight to Iguazú. Transfer to your hotel and the rest of the day is free. 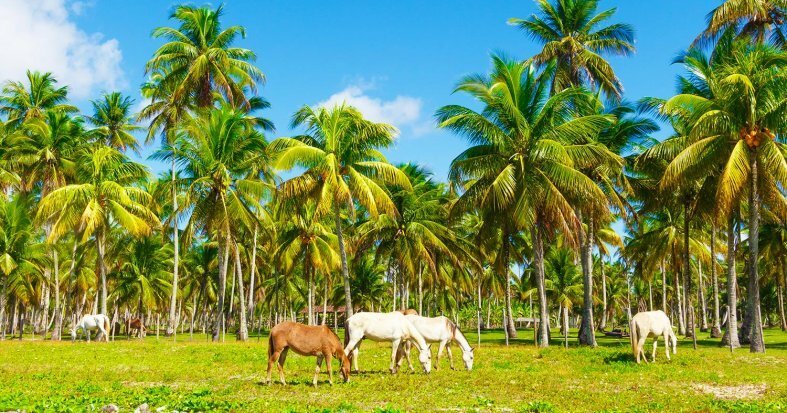 If the arrival time allows, we suggest enjoying a bike ride through the jungle or rest in this beautiful natural setting. Overnight in hotel Iguazu. Breakfast at the hotel. 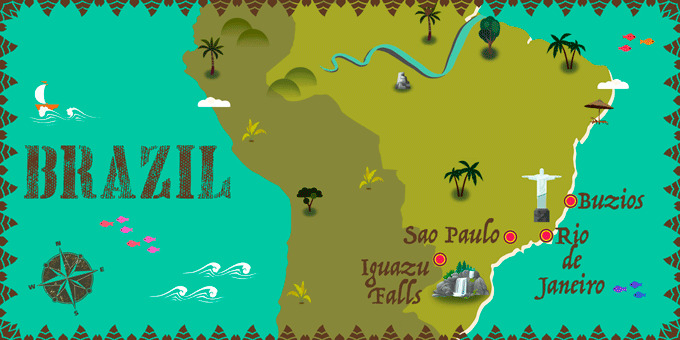 Today enjoy an included visit to the Brazillian side of the Iguazú Falls, one of the world's Seven Natural Wonders. Follow a trail which winds its way through the wild rainforest. Arrive at the impressive falls and walk across bridges and enjoy the panoramic views on offer as you take an elevator to the perfect vantage point. Hear the roar of water whilst contemplating spectacular views of rainbows, birds, leafy green exotic plants and trees. Return to the hotel for an overnight stay in Iguazu. Breakfast at the hotel. 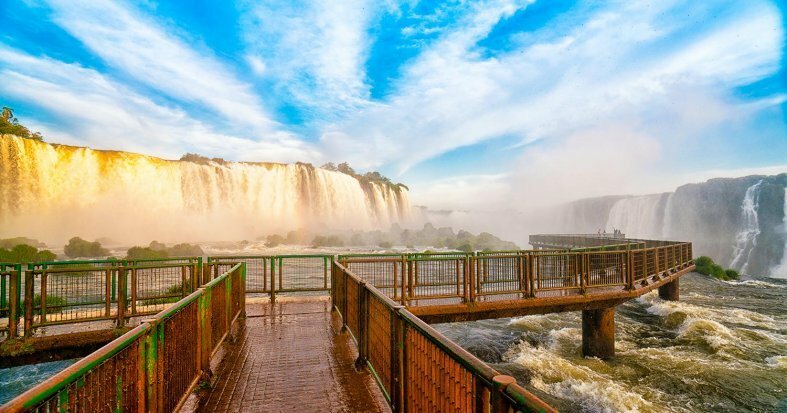 Spend the day at your leisure exploring the surrounding rainforest and natural landscape, or alternatively visit the Argentinian side of Iguazu Falls on an optional excursion. * Overnight stay in Iguazu. Breakfast at the hotel. Transfer to the hotel for flight to Rio de Janeiro. 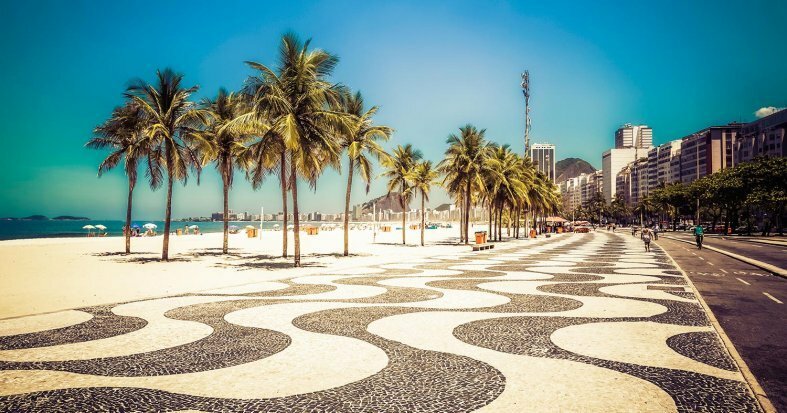 Arrive in Rio de Janeiro, transfer to the hotel and the rest of the day is free for you to explore this sprawling city, full of colonial architecture and vibrant culture. 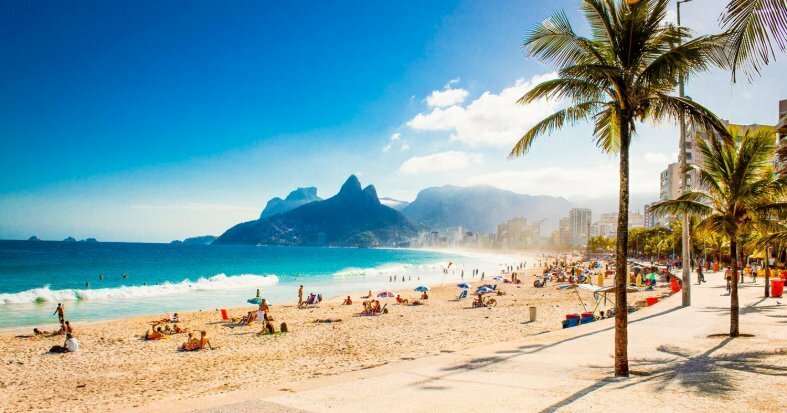 We recommend a stroll along Rio's famous beaches, Copacabana and Ipanema. Overnight in Rio de Janeiro. Breakfast at the hotel. 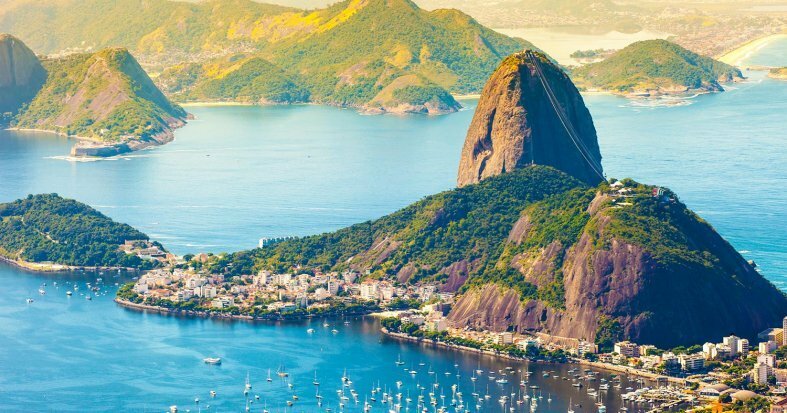 Spend the day taking an included city tour of wonderful Rio and Corcovado Mountain, which includes a trip up to the famous Christ the Redeemer statue. Visit the famous Corcovado mountain, one of the Seven Wonders of the Modern World and where you can watch the city from afar and admire the view of Lagoa Rodrigo de Freitas. Christ Redeemer is more than 2296 feet in height and dominates the city's skyline. 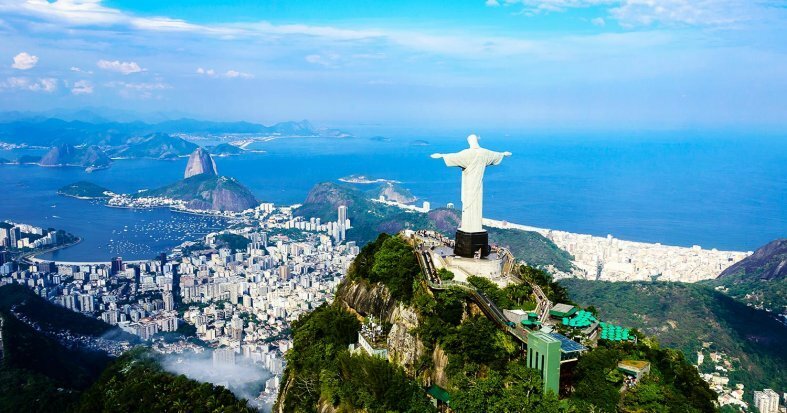 Admire the iconic Christ the Redeemer; an immense rock statue built by the sculptor Francés Paul Landowski which celebrates the visit of Carioca. Descend from the hills to enjoy a visit to Maracanã and a visit to the Sambódromo, where the Rio Carnival takes place yearly. Soak up the vibrant atmosphere of this lively city. Overnight in Rio de Janeiro. Breakfast at the hotel. Spend the day at your leisure, or alternatively, we recommend an optional excursion to Sugar Loaf Mountain, the famous Selaron Steps & Metropolitan Cathedral*. Overnight in Rio de Janeiro. Breakfast at the hotel. 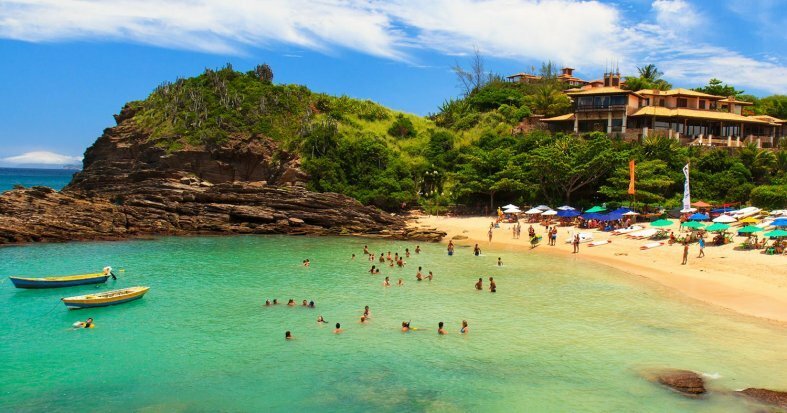 Transfer to Buzios, a beautiful beach resort on the peninsula, which is said to be the 'St. Tropez' of Brazil and was made popular by Bridget Bardot in the 60s. There are enough unspoilt beaches to suit all tastes and many upscale restaurants, bars and boutiques. Arrive, transfer to the hotel and overnight stay. 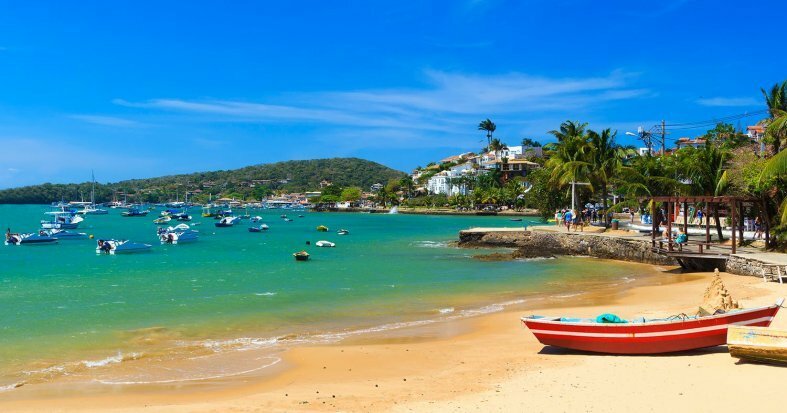 Breakfast at the hotel Today, enjoy an exciting Schooner Tour, the most traditional way of surfing the ocean in Buzios, and see the most beautiful beaches and islands on the north side of the peninsula. Enjoy diving in the ocean and relaxing in hidden paradise coves as you discover twelve beaches on three different islands. Return to Buzios, afternoon at your leisure and overnight stay. Breakfast at the hotel. Enjoy a day relaxing at your leisure. We recommend exploring the different beaches, enjoying some watersports, such as paddle boarding and sampling the beautiful local cuisine. Overnight stay. Breakfast at the hotel. Spend the day at your leisure. At the indicated time transfer back to Rio de Janeiro. Overnight stay in Rio de Janiero. 14th Day: Rio de Janeiro - U.S.
Breakfast at the hotel. Transfer to the airport for a flight back to the U.S. Overnight flight. Arrival at U.S. airport and end of your trip. Passport, valid for at least six months. One passport page. No vaccinations are required for travelers from U.S. countries. You must consult the Brazilian embassy or consulate if you have recently traveled to other countries. Avoid drinking tap water as well as fruit and vegetables that have been recently washed.